Arizona State University - Representing the academic interests of over 3,000 faculty, ASU’s Academic Assembly uses RCV internally to elect some of its officers. Auburn University - A ballot referendum proposing ranked choice voting for executive offices in Auburn's student government passed in February with an overwhelming 71 percent support among students. The nearly-30,000-student school is set to implement the RCV beginning in its spring elections. Boise State University - With over 23,000 students, Boise State holds the distinction of being the largest university in Idaho and is a power-house in the Mountain West Football Conference—famous for their blue field turf, often called "Smurf Turf." Offering classes in 200 areas of study, it is clear that Boise State values giving its students meaningful choice. The Associated Students of Boise State University (ABSU) have followed suit, giving students more choice by using RCV to elect all elected positions on its executive council. California Polytechnic State University (Cal Poly)- Ranked 9th in the West by America’s Best Colleges guidebook, Cal Poly has a long tradition of taking a "Learn by Doing" approach to its education. This hands on and thorough learning method extends to its student governance. Cal Poly students use RCV to elect the Associated Students president. RCV was adopted in 2007, the change was aimed at creating a “more efficient voting system.” Cal Poly students have shown a commitment to ensure students are well informed about ranked choice voting. California State University, Chico - CSUC, with one of the longest histories of higher education in California, builds a strong sense of community within its student body. All of CSUC’s 16,356 students are voting members of CUSC’s Associated Students. The Associated Students have used RCV since 2005 to elect officers, which has resulted in consistently high turnout. In 2008, well over 4,000 of the University's 16,356 students voted for Student Body President, setting an all-time record. Turnout has remained high in the years to follow. 2014 saw 3,910 students participate in elections, and increasing to 5,182 in 2017. Carnegie Mellon University - Carnegie Mellon University’s Student Government uses ranked choice voting for its student government elections. Clark University - Established in 1887, Clark University was the first modern research university in the US. Located in Worcester, Massachusetts, Clark University uses RCV for the undergraduate student council elections. Concordia University School of Law - Established in 2011, this up and coming law school is one of the first in Idaho and the first in the state’s capital of Boise. Concordia’s Student Bar Association uses RCV to elect its executive board, house of delegates, and elected representatives. Cornell University - Routinely ranked among the world’s top 20 universities, Cornell’s 20,000 students use RCV to elect two student members to the university Board of Trustees. The position itself is unique, making Cornell one of only a handful of universities to have two students, two faculty members, and one employee as full members of the board. 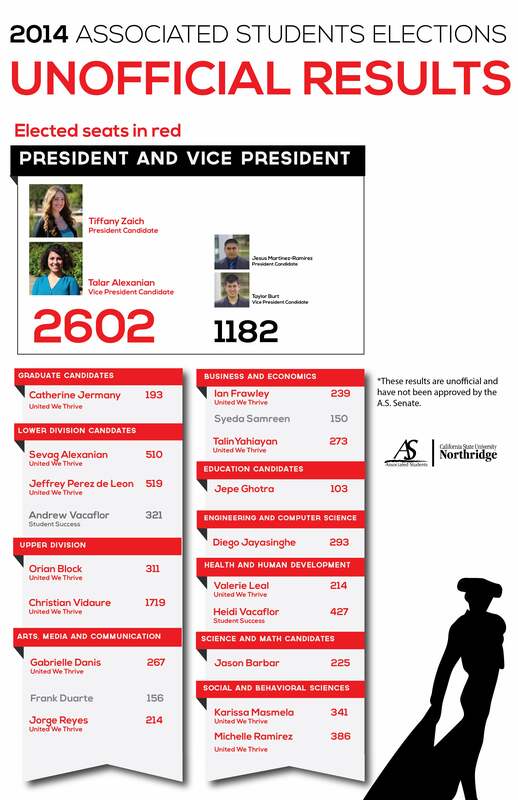 Cornell's Student Assembly also uses RCV to elect its Student Body President, Executive Vice President, and uses the Single Transferable Vote variation of fair representation for at-large representatives. Duke University - Duke University takes the lead in more than just NCAA basketball standings. The Blue Devils are also leaders in student democracy, using RCV to represent over 14,000 students in student government elections. One of the nation’s most distinguished private research universities, Duke's Student Government adopted the system in 2004 for its executive elections and has since expanded the practice to all elective positions. RCV has proven to be an effective and practical method of electing student leaders, playing a key role in a close election between 4 candidates in 2014. In 2017, Duke had the highest turnout rate for campus elections among its peer institutions. Emory Law School - Ranked by US News and World Report as one of the nation’s top 20 law schools, Emory makes RCV “as easy as ranking 1-2-3!” After some recent changes to its elections code, the university uses RCV in Student Bar Association elections. George Washington University - George Washington University's Student Association passed a referendum with 61% approval in March 2011, thus enabling the SA Senate to implement RCV for student elections. The system has not been implemented as of 2017. Georgetown University - Georgetown is one of the most prestigious private universities in the country. Since 2006, the university has used RCV for its single-seat student elections. In 2013, the university adopted a fair representation system for legislative elections. The impact of RCV was on full display in the GU Student Association’s 2014 presidential election, with each of the four tickets using cross-endorsements to build off their mutual interests. After the leading ticket finished the first round with only 35% of the vote, two more rounds of voting ensured that Georgetown students were represented by the candidate with the broadest support. Grinnell College - Located in "The Jewel of the Prairie," Grinnell College is a Midwestern liberal arts and sciences school with deep roots to the Social Gospel and strong ties to the Peace Corps. Grinnell College places a strong emphasis on self-governance and personal responsibility, which is demonstrated by their home-made ranked choice voting software. Ranked choice voting was recently added to the Student Government Association's Constitution in an attempt to achieve greater voter turnout and to encourage candidates to run for office. Harvard University - The oldest institution of higher education in the US, dedicated to excellence and innovation, also has one of the longest histories with RCV. Harvard's Undergraduate Student Council uses RCV to elect their President and Vice President. The Graduate Dormitory Council, the Graduate Music Forum, and the Graduate Student Council each use RCV for their internal executive position elections. Hendrix College - At just over 1,400 students, Hendrix is a small liberal arts college with some big ideas. The Student Senate saw voter participation double after RCV was implemented during the 2003-2004 school year, and has since continued to use the system for all SA elections. Johns Hopkins University - With just over 5,000 undergraduate students, John's Hopkins has cemented itself as on of the most prestigious research universities in the United States. In 2018 John's Hopkins Council of Student Elections passed a number of bylaws that implemented RCV in their elections. Lawrence University - Ranking among the Ivies in Newsweek’s most rigorous colleges, Lawrence takes its academics and its elections seriously. Lawrence University's Community Council first used RCV in its 2012 elections and has continued to use the system in the fall of 2013 for their District Representative Elections. As a result, the university has seen a significant increase in voting participation. Lewis and Clark College - In March 2005, the Associated Students of Lewis and Clark College, Portland Oregon adopted instant runoff voting for all single seat elections, and choice voting for all multi-seat elections. Article IV of the student association bylaws describes choice voting as the “most democratic method” of counting ballots. Louisiana State University Law Center - Boasting five National Moot Court Championships since 2005, the LSU Law Center knows a thing or two about smart competitions in the courtroom and at the ballot box. Recognized by National Jurist as the country’s third “best value” law school, LSU Law Center’s Student Bar Association uses RCV elections. Luther College - With one of the highest rates of Peace Corps volunteers, Luther’s 2,000 students carry their sense of social awareness into their elections. Since implementing RCV in 2003, the Student Government has expanded its use from executive elections to the Student Senate. Macalester College - Located in St. Paul, Minnesota, which uses RCV for its municipal elections, one of the nation's most reputable liberal arts colleges uses RCV to elect its student government officials. Its 2014 presidential election was decided after five rounds of voting with one of the highest voter turnout rates on record. Marquette University - In elections for president and vice president with more than two tickets, the Student Government at this illustrious Milwaukee University uses RCV. According to the student newspaper, The Marquette Tribune, the change was aimed at increasing turnout. Marquette's first RCV elections saw an increase in turnout during the 2014 elections with 22.3% of Marquette's 8,300 students voting. McMaster University - With world-renowned programs in medical studies and social sciences, this school of nearly 30,000 is recognized as one of Canada’s top public research institutions. Representing one of Ontario’s largest student bodies, the McMaster Students Union constitution stipulates that RCV will be used in presidential elections featuring more than two candidates. Northeastern University - One of the nation's top private research institutions, Northeastern is known for its world-renowned cooperative education program. Students at Northeastern are accustomed to learning through action. When members of the student government saw a candidate could win without the majority of voter support, they took action and created a ranked choice voting system for student elections. While most student elections in recent years have been won with simple majorities, the Student Government Association has had a system prepared for multi-candidate elections since 2009. In the last few elections Northeastern University has seen increased voter turnout. Northwestern University - Located in suburban Evanston, Illinois, Northwestern is regarded as one of the nation's most prestigious research universities, with particular strengths in the social sciences. RCV is utilized by Northwestern's Willard Residential College to elect its executive board. Oberlin College - As the first institute of higher education in the U.S. to offer bachelor’s degrees to women and African Americans in the mid-1800, Oberlin has a proud history of blazing the trail. Now one of the most well-respected liberal arts colleges in the region and with a student body of 2,900, Oberlin's Student Senate has used single transferable voting to elect its senators since 2008. Oregon State University - With over 26,000 students, the Associated Students at Oregon State (ASOSU) represent the interests of a massive student body. To ensure that all voices are heard ASOSU made the switch to RCV for the 2014 school year, with the goal of increasing turnout. They met their goal, and then some. In its first election using instant runoff, Oregon State saw a 62% increase in turnout over the previous election. Plymouth State University - Plymouth State University's Student Senate uses instant runoff voting for student government elections. Portland State University - Portland State overwhelmingly approved of RCV for key Associated Students races 79 to 21 percent after the Student Senate unanimously passed the measure in Feb. 2005. All the major candidate slates supported RCV. In 2006, the first RCV election enabled three slates to run and resulted in a 51 to 49 percent tally between the strongest slates. RCV is currently used for the President/VP ticket and the Student Fee Committee Chair. Reed College - Reed is known as one of West Coast’s top liberal arts colleges and famously houses a student-run nuclear reactor on campus. The Reed Student Senate has distinguished itself for its voting system as well. The presidential and vice presidential elections are conducted using RCV, and choice voting is used to elect other student leaders. Rice University - The Rice Student Association uses RCV for single-seat elections. Rice elects a student President for each of its 10 colleges, making sure that every student is represented in the student association. With plenty of opportunities to get involved and a student body of over 6,000 students Rice sees a large number of students seeking office. One recent election for President included six candidates. RCV is also used to elect the Rice Faculty Council. Santa Fe College - Located in Gainesville, FL, Santa Fe College became the first community college in the nation to adopt ranked choice voting for executive officers in the Student Government (President, Vice President, Secretary, Treasurer) in 2008. According to SG Supreme Court Chief Justice Scott Cutshall over 17,000 students are able to participate in online elections, from Santa Fe College’s 2 campuses and 6 centers. Seattle University School of Law - The legal writing program at this Pacific Northwest law school is ranked first in the country by U.S. News and World Report, and the Student Bar Association is similarly innovative. The SBA adopted RCV (pg. 7) for executive and legislative offices, which are subject to annual election. Sewanee: University of the South - The university of the south will begin using ranked choice voting for single-seat positions including the Order of the Gown president, Student Government Association president and student trustee this year. The change was adopted in early 2018 in response to the low turnout and additional burden of holding a second, runoff election when no candidate received a majority of votes. Temple University - Since its founding in 1888, Temple University has been dedicated to providing superior educational opportunities for motivated students, with the motto "Perseverantia Vincit", or "Perseverance Conquers". Temple University's Student Government honors this mission with their promise to recognize excellence, strive for inclusivity, and respect the community. Temple University's Student Government uses ranked choice voting to elect their student leaders, which fosters a thoughtful, inclusive, and respectful campaigning environment. Texas A&M University - When it comes to voter representation, Texas A&M students have a clear message: don’t mess with Texas. Representing the fourth largest student body in the United States at 58,000, the Student Government Association introduced RCV in 2013 for its senate elections. Tufts University - Located just outside Boston, Tufts University is consistently ranked among the nation’s top schools, and the Tufts Community Union represents more than 5,000 undergraduates. Since 2003, presidential elections, TCU, and Senate in-house elections have been conducted with RCV. Read about the 2013 TCU presidential election, where RCV played a large role in determining the winner. University of California, Berkeley - UC-Berkeley has historically been a bastion of progressive change, and the way it elects student leaders is no different. The Associated Students of the University of California adopted RCV (which it calls “alternative vote”) for executive officer elections and STV (“choice voting”) for Senate elections in 1967. University of California, Los Angeles (UCLA) - With more applicants per year than any other university in the country, it’s no secret that UCLA’s 42,000 students have a lot of which to be proud. With 15 Nobel laureates, 110 NCAA team championships, and a place in the prestigious Association of American Universities, UCLA's Undergraduate Student Association uses RCV to elect all officers. For general representative seats, UCLA uses the single transferable vote form of proportional representation. UCLA’s graduate student association also uses RCV to elect their officers which saw a huge turnout increase in 2014. University of California at Santa Barbara - UCSB may be known for its scenic coastal location in Southern California, but it was also an early adopter of RCV. UC Santa Barbara's Associated Students have used ranked choice voting for all executive offices since 2001, and adopted multi-seat RCV at the beginning of the 2015-2016 school year. University of Houston - Founded in 1927, this state research university is one of the largest schools in Texas, taking on over 40,000 students a year.The student government recently passed ranked choice voting and it will be used in their future elections. University of Iowa - A vibrant community of over 30,000, this NCAA Big Ten powerhouse has used RCV to elect its student government president, vice-president, and senators since 2008. In the first election or ranked voting, voter turnout jumped to record-breaking levels, The Daily Iowan reporting: "A record-setting 32.53 percent of eligible students voted in the UISG electronic runoff ballot, casting 6,357 votes." University of Maryland - Baltimore County - Established as a part of the University of Maryland System in 1966, UMBC serves over 14,000 students and specializes in the natural sciences and engineering, while also offering programs in the liberal arts, and social sciences. In 2016, UMBC students voted by a two to one margin to use RCV to elect executive officers in future elections for their Student Government Association. University of Massachusetts, Amherst (UMASS) - UMass is a public research university in Amherst, MA. With an enrollment of over 30,000 students, the university uses RCV for all undergraduate student government elections. University of Michigan - UM uses the 'Borda count' voting system within their LSA Student Government (College of Literature, Science, and the Arts) as stated in Article VII, Section C-2 of their constitution. The MSA (Michigan Student Assembly) also uses the 'Borda count' method to elect their representatives, as outlined in Article II, Section 2 of their constitution. University of Minnesota, Twin Cities - The flagship of the Minnesota University system, UMTC boasts an enrollment of almost 53,000 students. With campuses in St. Paul and Minneapolis, both of which use RCV for municipal elections, it was only natural the U of M's Student Association constitution would use RCV. More than 5,000 students used ranked choice voting to elect the 2013-2014 President and Vice-President of the Minnesota Student Association. The Minnesota Daily talks about the use of RCV in the 2013 election. University of North Carolina, Chapel Hill (UNC) - The flagship North Carolina school revived instant runoff voting in 2017 after a hiatus tied to a state legislature decision repealing its use. The nearly 19,000 student body uses instant runoff for its student body president, replacing the prior, two-part runoff with a single 'instant' runoff. University of Texas at Austin - After a series of low-turnout, high-drama runoffs, UT-Austin's Student Government signed off in 2018 on a switch to multi-winner ranked choice voting. As approved, the campus' 50,000+ students will begin using multi-winner RCV to elect student government leaders in the 2019 elections, consolidating the prior two-part system into a single 'instant' runoff. University of Virginia - RCV was brought to UVA student elections in 2003. "After many irregularities during past elections, Student Council and the University conducted two investigations/reports to propose a solution to the problems seen in runoffs in student elections over the past few years." The University Board of Elections also staged a mock 2004 U.S. presidential race using RCV. University of Washington - With over 40,000 students, representing the interests of UW students is no small task, but the Associated Students of the University of Washington helps make it possible by using RCV to elect their officers. Students believe so strongly in their RCV system that some think the use of RCV should expand across the country. University of Wisconsin, Oshkosh - Since 2003, the Assembly of the Oshkosh Student Association has used RCV to elect its speaker and speaker-pro-tempore. Vassar College - In September 2002, the Vassar Student Association voted nearly unanimously to adopt RCV and the choice voting form of full representation for future student elections. In 2004, RCV and the single transferable vote method of fair representation voting were used for the first time to elect representatives for the freshman council, campus committees, and the President. During the spring 2008 student elections, all elections were held through RCV (for the Judicial Board Representatives and Student Representatives). Washington and Lee - A private liberal arts school in Virginia, Washington and Lee is the alma matter for a number of Supreme Court Justices, Pulitzer prize winners and Emmy award winners. In 2018 the student government elected to use RCV in their future elections. Wellesley College - Established in 1870, Wellesley College is a highly regarded private women's liberal arts college with notable alumni, including Hillary Clinton and Madeleine Albright. Wellesley College using RCV for their academic council committee elections. Western Washington University - In 2012, WWU adopted RCV for its elections. For many years, the Student Senate has used RCV to elect its Vice-Chair and Parliamentarian. Wheaton College - A small liberal arts school with just under 3,000 undergraduates, Wheaton college is the first college in Illinois to implement RCV in their student elections as of 2018. Whitman College - The Associated Students of Whitman College represent over 1,500 students at this small liberal arts college in Walla Walla, Washington. ASWC uses ranked choice voting to elect members of the Executive Council: president, vice president, finance chair, and nominations chair. It uses the single transferable voting method of fair representation voting in multi-member districts to elect the 16 members of the Student Senate. Whitman’s 2014 elections had astounding turnout levels with 58% of the student body voting. Williams College - This small liberal arts college in western Massachusetts of about 2,000 students has been around since 1793, but its voting system is at the cutting edge. The Williams Council uses RCV for all elections (pg. 30), using Big Pulse. Worcester Polytechnic Institute - Founded in 1865, Worcester Polytechnic Institute is a research university in Worcester, Massachusetts. The private institution uses RCV for their faculty committee elections.